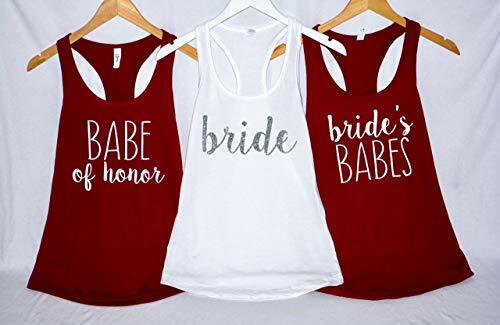 Beautiful Bridal party tanks that are just perfect for your special day! These tanks are fitted! Meaning that even if the size chart lines up perfectly with your measurements they will still be tight. They are supposed to be that way because they are supposed to contour your body! If you want a looser fit, please check the measurements and adjust accordingly! If you have any questions about this product by GlitterGetUp, contact us by completing and submitting the form below. If you are looking for a specif part number, please include it with your message.